Summer is here, and not all of us can go on a beach no matter what the reason can be. 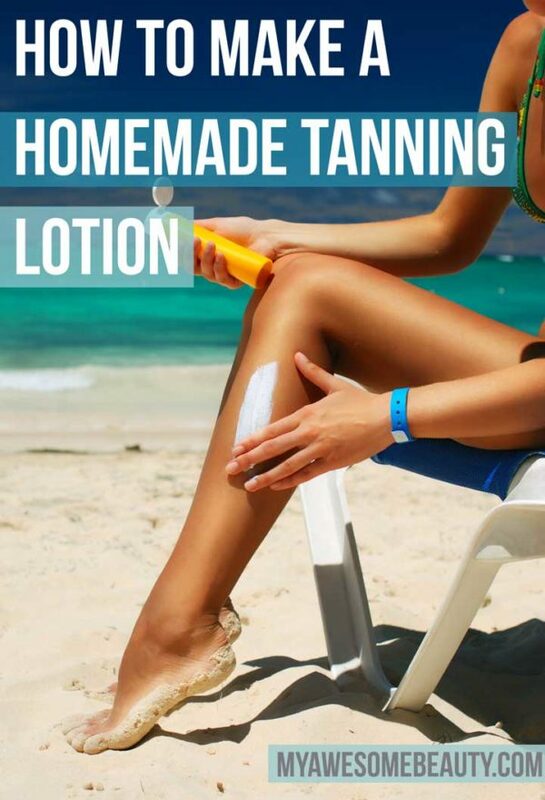 That’s why we have prepared some recipe ideas for sunless tanning that you can prepare at your own home by using no more than three ingredients that you already have at home. 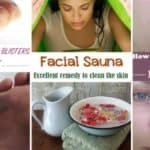 By using this tanning oils and masks you will get the perfect bronze skin color as if you have passed days on the beach. 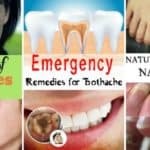 Read them and find the most easy to be done for you. 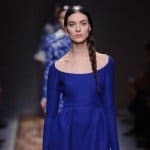 If you were always dreaming about perfect bronzed skin tone , but you haven’t had the luck to born with it , then here is the solution for you. 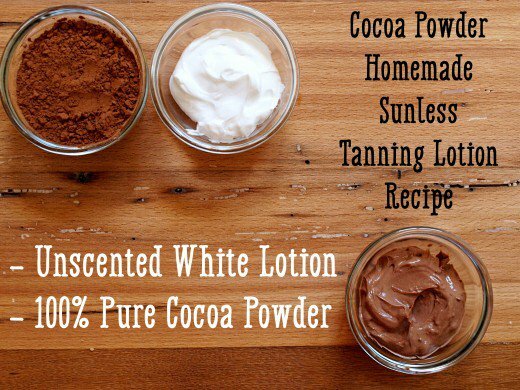 This cocoa lotion will help you get the perfect tuned skin without having to explore your body to the sun. 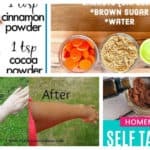 All you need to prepare it is unscented white lotion and 100 % pure cocoa powder. 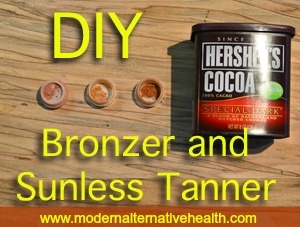 Mix these two ingredients with a fork and add move cocoa in order to match the color you. 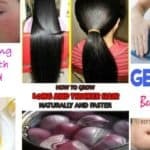 If you are bored of going to solarium to get the desired skin color for this summer and you have not enough time to go to beach, here is an other homemade sunless recepie for tanning. The ingredients that you will need are 8 bags of organic black tea, 16 of filtered water and 1 tbsp of vanilla extract. Sound easy? Try it and you will see that it’s easier than ever. 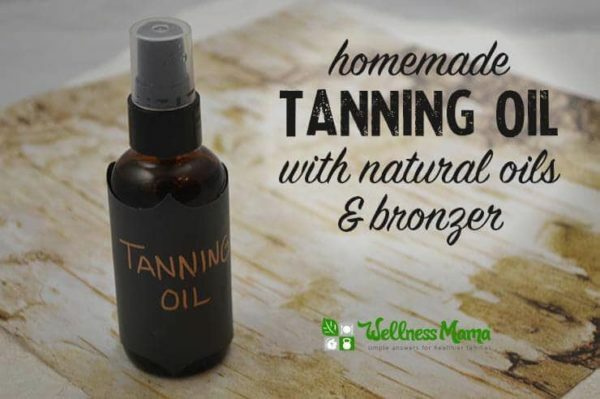 If you decide to spend some days on the beach and get the desired color naturally the you shouldn’t miss this tanning oil that you can make on your own. 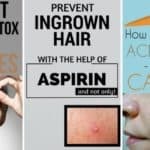 All you will need for it is 1/4 cup olive oil, 2 tbsp avocado oil , 1/2 raspberry seed oil , 1/2 tbsp carrot seed oil , 10 drops sandalwood essential oil, 10 drops lavender essential oil and 1 tbsp bronze mica powder.Mix all the ingredients and store it in a dark-colored glass container. 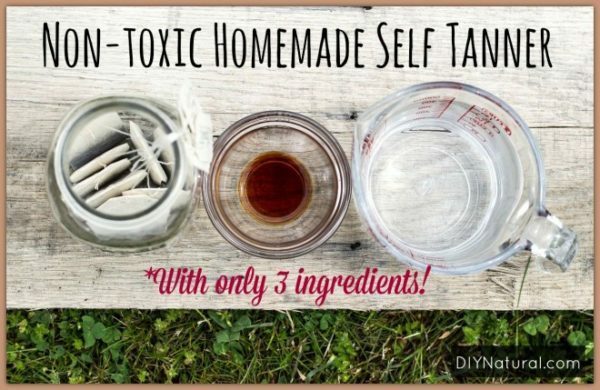 Are you searching an easy way to make a tanning lotion on your own? You want it to be cheap too? Here is the recepie. Only 2 ingredients needed. Four black tea instead of green tea if you want to get darker tan on your skin. Can it be less eays? No, right?